One of my favorite memories is – not surprisingly – from my trip to Bolivia last June. Alana and I stayed in La Senda Verde after our adrenaline-pumping trip down the Death Road, and we had some time to kill before the Gravity bus returned on Saturday afternoon. 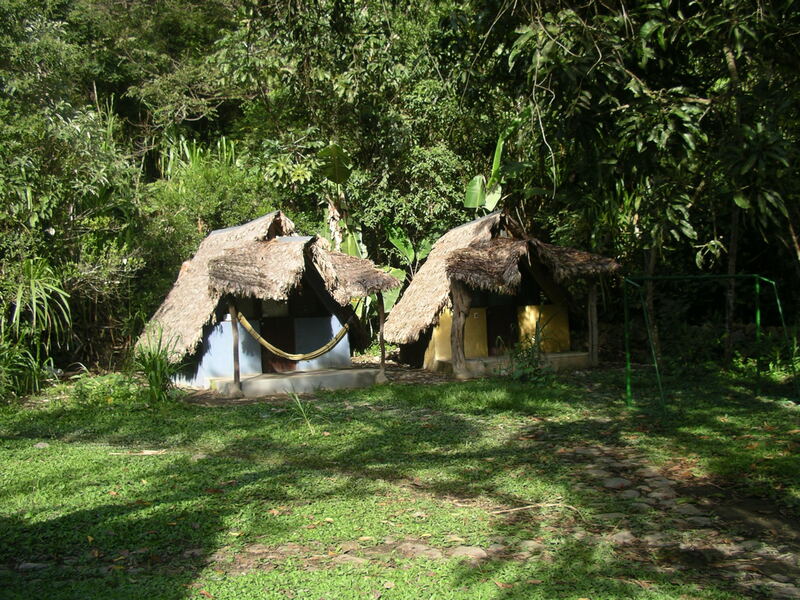 we stayed in one of those! As luck would have it, we were trying to figure our plans out when Rodrigo (I think? 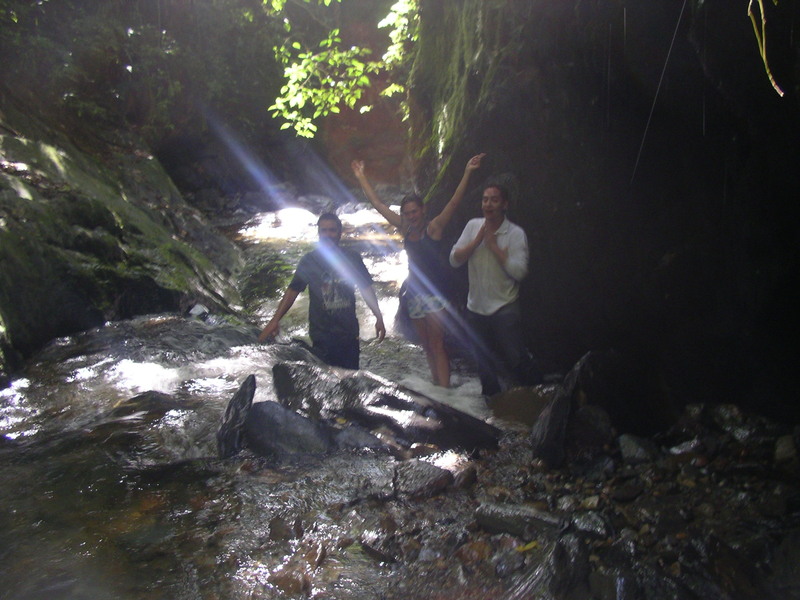 ), the owner’s son, appeared in our path and asked if we wanted to hike a nearby waterfall. We didn’t need to be asked twice. We cleared out our hut and threw on some bathing suits before beginning the hike off the beaten path with a few new friends. 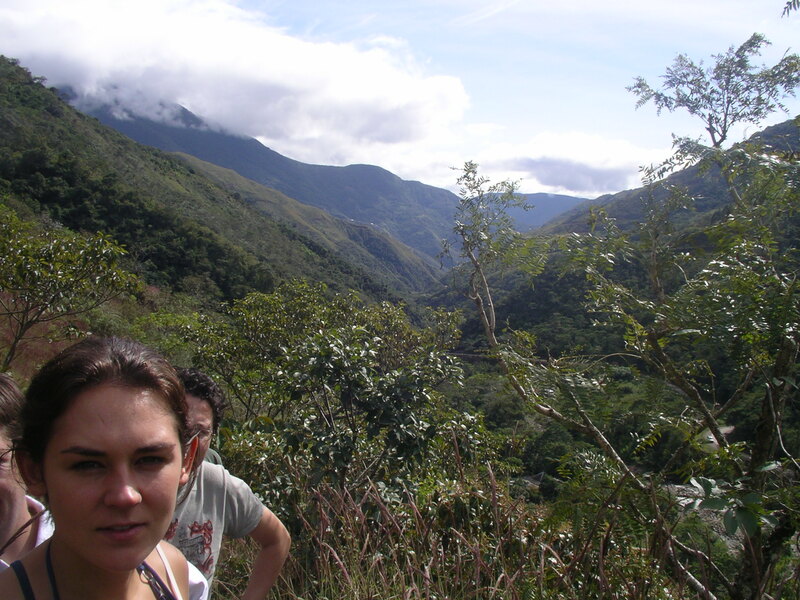 Hiking in Bolivia is difficult, even if you’re close to the Amazon basin like La Senda Verde is. High altitude makes a simple stair climb feel like a vertical-wall scaling. 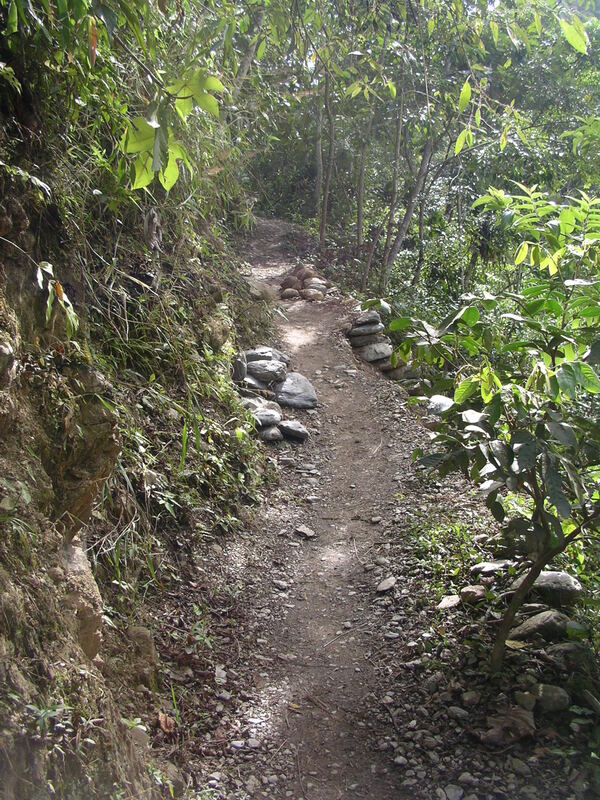 The path got narrower, and though it was a bit strenuous, the views were spectacular and Rodrigo had lots to say about legends of the area as we hiked. 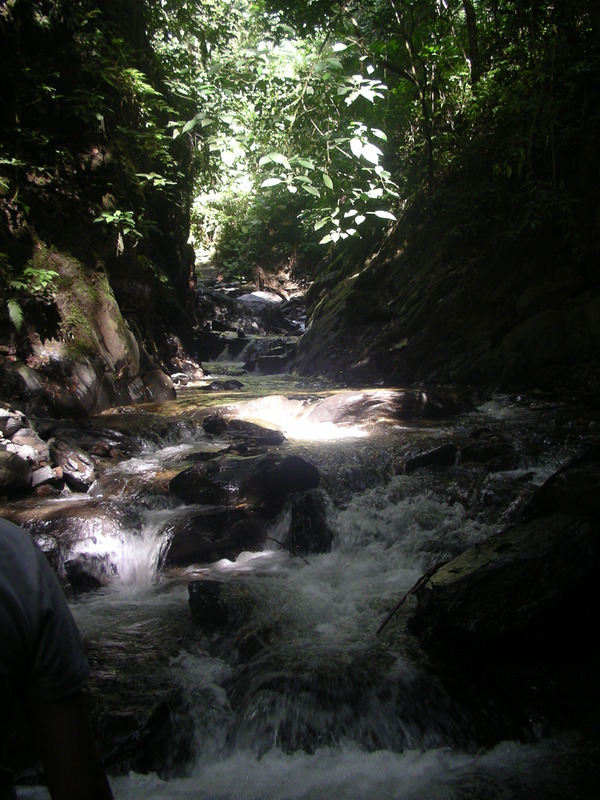 Soon, the hike took us off the trail and into the jungle, where we began hiking up a river – literally – trying to find steady footing on slippery rocks. Think super scary paired with picturesque: light shining through the leaves, colorful butterflies, and the impending threat of a sprained ankle. It really was beautiful, and the water was cold and completely pure; I didn’t drink tap water in Bolivia, but the water from the falls was drinkable, or so Rodrigo told us. We each took turns going under it, and the water was so cold and the force of it so strong that it literally took your breath away. 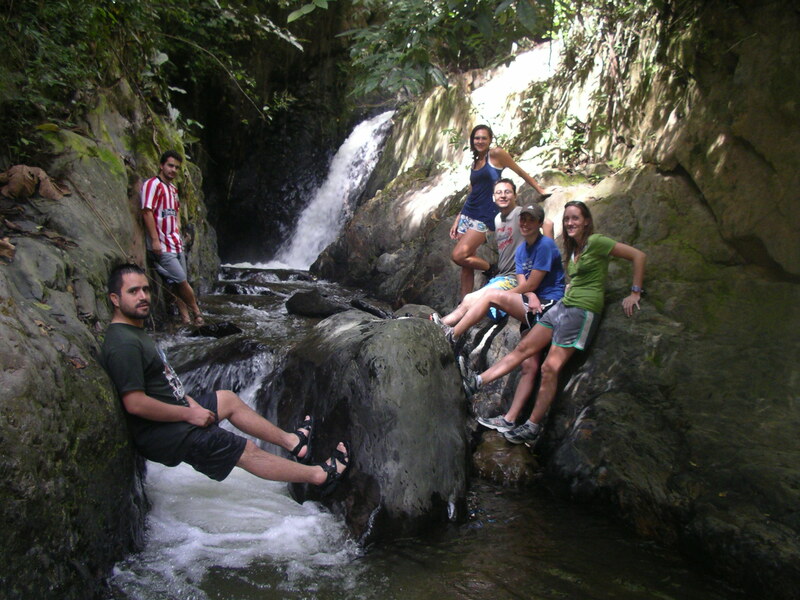 We hung out around the waterfall for a half hour or so lounging on rocks and listening to the sound of it before heading back down to La Senda Verde. The hike down was quiet and sunny, and just as we finished up some chuñas and cow tongue, the Gravity bus arrived. It was perfect timing, and the perfect end to a perfect day.